Syringe barrels, cartridges, tips and nozzles are designed for use with air-powered dispensers under pressures to 100 psi. They are manufactured in a silicone-free facility to ensure fluids dispensed from them will not become contaminated. Manual syringe components such as hand assemblies are not for use with air-powered dispensing systems. 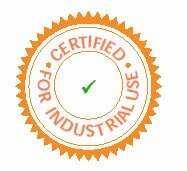 Where specified, disposable components are certified industrial grade safe. This means that they are suitable for use with pneumatic dispensers. Most are safe for use to 100psi pressure with single use. This is not applicable to manual graduated syringes, etc. which are not designed for use with air powered dispensing equipment. Disposable components, including syringe barrels, cartridges, pistons, tip caps, end caps, and dispense tips, are precision engineered for one-time use. Attempting to clean and re-use components will compromise dispensing accuracy and may increase the risk of personal injury. Always wear appropriate protective equipment and clothing suitable for your dispensing application. - Do not exceed maximum operating pressure of 100 psi (7.0kg/cm2). - Do not heat syringe barrels or cartridges to a temperature greater than 100 F (38 C). - Dispose of components according to local regulations after one-time use. - Do not clean components with strong solvents (e.g. MEK, Acetone, THF, etc). - Cartridge retainer systems and barrel loaders should be cleaned with mild detergents only. - To prevent fluid waste in the barrel, use wiper pistons. - With our air-powered syringe dispensers, use part 881-000-000 inline filter with watery liquids. Plastic syringes and other items are manufactured without the use of silicone mould release agents. As a result of these zero silicone traces, adhesives and materials you dispense are not affected. Some adhesives lose performance if exposed to silicones or release agents. And silicones can find their way onto your end products. We only supply the highest quality components that are guaranteed silicone free, where specified. Some manual graduated syringes are not guaranteed silicone-free. All tips, air barrels, pistons, cartridges, plungers, nozzles and bottles are silicone-free materials. Plastic barrels, pistons and needle tips are high strength safe to 100 psi and warranted against defect for single use. We recommend all plastic components are not cleaned with solvents and re-used when placed under high pressures as the plastics can become weaker over a length of time. 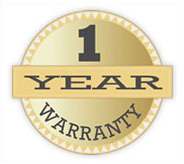 Dispensing systems are covered by 1 year warranty against fault.